We don't train on MLK Day. It's always been a day of rest and reflection in honor of a great man. The more I read about the life of Rev. Dr. Martin Luther King, Jr., the more I am in awe at his courage. Stepping into a ring and fighting another person is a piece of cake by comparison. King fought an entire system and his impact continues to ripple throughout the country today. King's quote (to the right) informs my philosophy as a teacher. Teaching the mind only fulfills part of the goal. To create brilliant minds with weak character would be a disservice to our communities as we would produce half-formed individuals. Hard training hits both of these areas as well. In the dojo, we educate the mind, train the body, and strengthen the spirit. I've often said that our hard training takes weak people and makes them strong; and takes strong people and makes them unstoppable. When I say that, the first instinct is to think of strong bodies, but those who have trained in Kyokushin for any length of time are likely more aware of the strengthen resolve and determination which permeates into all areas of their lives. My goal as a sensei is to produce more that strong fighters. My goal, our goal, is to produce strong people. 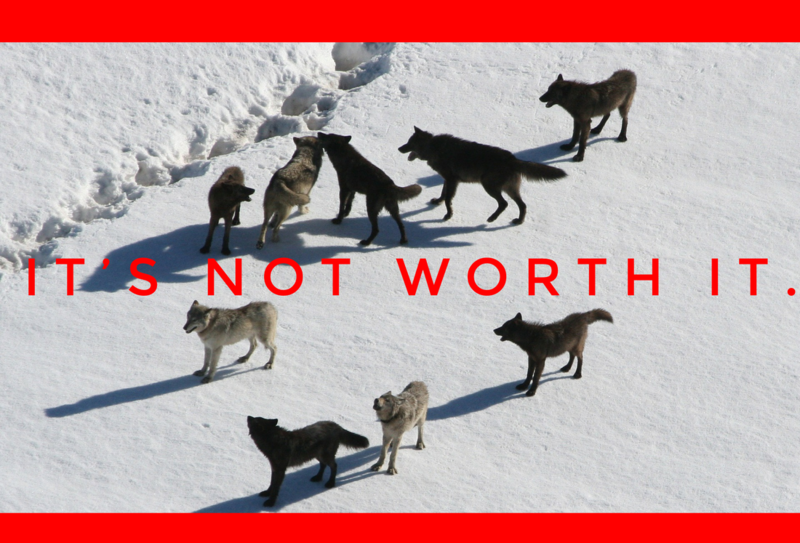 Don't sacrifice just for the sake of keeping up with the pack. In training, don't practice sloppy technique just to keep up with the count. In the dojo, don't use a substandard stance when walking the floor just to keep up. In life, don't sacrifice your integrity, your morals, just to keep in with a group. We all started at the same place, and at the same time. Why then is it that we were all over the place after taking just 70 steps? Simple: each of us is unique. Some are taller than others. Some have longer legs than others. Some are less flexible than others. In fact, with such a wide range of individuals, it would be wrong if we all ended up in the same place, at the same time. The stance of a young boy who stands under 4 feet tall should be a lot shorter than that of a man who is 6'7"! There are a ton of factors in the world of training. Height. Weight. Conditioning level. Experience. Courage. Too many to really list actually. With so many variables, I'm constantly reminded that training in the way of budo martial arts is always you competing against the face in the mirror. In working toward perfection of character, we are always in search for progress...there is no finish line. 1.) If YOU do your best and THEY do their best, it doesn't mean everyone will end up at the same place at the same time. 2.) NEVER sacrifice who you are just to keep up with the crowd. 3.) Every now and then, set aside time to STOP and LOOK. There is someone behind you who can use encouragement and assistance. Of course, if you've trained with me, you know that it wasn't that short and sweet. Over this coming week, I'll draw each of those out just a bit. Senpai Dylan reminds me of Tony Stark. He's a pleasant young man, kind hearted and incredibly intelligent...a big-picture thinker, but when he puts that suit on everything is amplified. Dylan is the same way. We've known for years that he was a young man of exceptionally quality. That was before he earned his black belt at Camp Phoenix 2018. Almost immediately, like Tony Stark's transformation into Ironman, all of Senpai's admirable qualities were amplified. He is a clear example of being a black belt and not just wearing one. For making a profound, immediate transition from the mudansha to the yudansha ranks, we award him with our Yudansha of the Year for 2018. She doesn't know this, but I talk about Amy with my science students all the time...usually with the phrase "most of us are low-key afraid of her." Amy hits hard. Not for a woman. Not for someone just north of 29...she hits hard...period. Amy has three sons, and all of them train with us. Her oldest son is one of our newest black belts. Amy's daughter joined just a few months ago and just last week earned her first stripe. All this to say, for years Amy has heard about the training from her kiddos and still decided to begin training last September (2018) and our dojo has been all the better for her investment. To see someone train hard is a treat. To see someone train with a smile is awesome. To see someone training consistently is terrific. But, to have a student who trains at 100% with a constant smile? That's a blessing! That's budo karate. Amy is, without a doubt, a huge blessing in our dojo! Sydney has become a pillar in our dojo community. In so many ways, she reminds me of my teachers...full of a fierce tenacity and always wearing a smile. Our mission is to improve. I explain to coworkers and parents that our style, and especially our dojo is geared toward making weak people strong, and strong people unstoppable. We are about striving toward perfection of character. Sydney began training with us as an exceptional young lady and to watch her grow over the past couple of years has been such a blessing. Sydney is well on her way to becoming absolutely unstoppable! This past week we celebrated our last training sessions of 2018 by recognizing an outstanding karate student from each of our classes. Our Kids Kyokushin award winner, Timothy, is a shining example of a strong and joyful work ethic. He smiles at the mention of burpees and is always asking for ways to make drills more challenging. Several weeks ago, on his own accord, Timothy asked to join the Teen Class. While this group is reserved for those entering 5th-11th Grade, we allowed Timothy to join even though he's only in 4th Grade! Why?! There are a few reasons, but essentially the approval was based on Sensei Bob's belief that you should never deny someone looking for a greater challenge. Tim, thank you for being an example of a young student who is always looking to make training challenging and fun. Students like YOU make a dojo so, so strong! I used to have very strong feelings about participation trophies and medals...and it was quite negative. Actually, I still have strong, negative feelings about participation trophies for most endeavors. Especially after last week's Iron Shirt Tournament, I've had a chance to re-evaluate trophies and medals. With the exception of my USKA title belt and my Phoenix 50 katana...I'd be perfectly content throwing the rest of my trophies into the dumpster. Trophies...awards...they should mean something more than you tried. Now, combat sports are different. I've said for years that the guts it takes to step on the mat...to win or lose on your own; without a team to blame or fall back on...that's worthy of honor. I say all this because in the coming week we will be honoring students in out dojo who have truly stepped it up and shown themselves as "student of the year". Out of 100 students on our roster, 4 will be honored. Do the math. Honor is important, To give honor to those whom deserve it is a pillar of what we do here at Forge Dojo. If we're honest with ourselves, there are some people in our circles that rise to the top. I cannot wait to honor these four students over the next week! Has It Been That Long?!?! Wow...it's been almost two months since I last posted. In the past two months I've transitioned from a job that I loved for 15 years to a new position, that I'm growing to love so, so much. In the past two months we've transitioned our 3 older boys from the same school. Our oldest is graduating this year from that place I have loved for 15 years; and our two middles are being homeschooled this year. In the past two months, our youngest has started preschool with one of the best in the DC Metro Area. Over the past two months, training faithfully in the dojo, there is simply one word that sums it all up. Now that I've found my groove, I'll be getting back into posting more regularly. Thanks for being so patient! The theme of "blessed" is going to carry us through 2018 and hopefully give us a positive kick into next year! Parents train for FREE? Really?! The dojo benefits. Families benefit. Kids have an opportunity to learn something WITH mom or dad. One parent per enrolled child can train FOR FREE at The Forge Dojo, provided that parent attends a minimum of 5 classes per month. Parents benefiting from the Free Parent Plan DO pay the 1-month rate for any month they fail to attend the class minimum, and there are no excused absences for this policy. Sign up for 6 months “free” classes, therefore, and it’s likely that you will pay for one or more of those months because interruptions do arise for work, vacation, illness, etc. 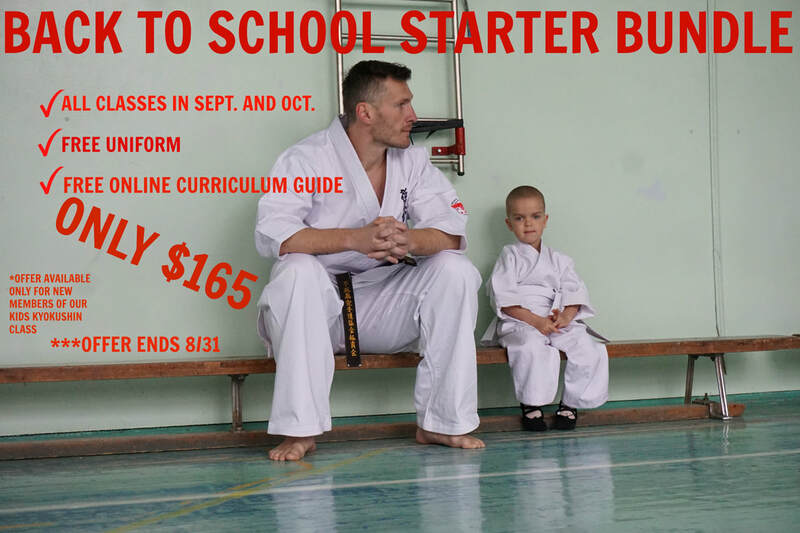 If you’re disciplined, however, and dedicated, this can be a VERY affordable way for your family to join. This unique element of training at The Forge Dojo began one year ago and has been such a blessing. As an adult, there is a priority to find an activity for your child, but that makes it difficult for you to afford your own workout? Here’s your chance! In the future, I foresee some of our stronger adult students will be free parents in this category; also because $110 is a good incentive to keep training regularly. You might even consider taking this on purely BECAUSE it will keep your practices regular and get you into shape. Don’t make this decision lightly, but if you take it with eyes wide open it can be the best decision you make this year. Kyokushin class or, with approval from the head instructor, the Teen Kyokushin class. Well, Independence Day is here, which can only mean one thing...Camp Phoenix is right around the corner! While we will not be staying in tents, there are quite a few similarities between traditional camping and Camp Phoenix. Now, that might be a HUGE turnoff for some folks, but here me out on this one. Here are my top 5 reasons YOU would love camping the Phoenix way. 1. Get away- Sometimes it's nice to get away for the weekend and forget about the responsibilities of work and household chores. It's also an awesome weekend to focus on yourself and your own growth. 2. Community building- Now, you wont be in solitude at all, but you will be surrounded by like-minded people all there to accomplish one primary goal: to train. When like-minded people gather together for any length of time, strong bonds can be formed. I've met some great friends at Camp Phoenix in the past. Whether you're a brand new student, or a seasoned veteran, you will leave Camp realizing that you are a vital part of something much bigger than yourself. That, is a feeling too few people experience. 3. Satisfaction on a job well done- You're going to work hard, there's no doubt about that. You're going to sweat. Your feet are going to be sore. You're going to be exhausted. But, you're going to be proud of the work you put in. You'll share stories with your friends and coworkers about everything you accomplished in such a relatively short time, and they will look at you like you're a superhero. 4. The setting- Camp Phoenix is held on the beautiful campus of Mount St. Mary's University. Nestled in the hills between Frederick, MD and Gettysburg, PA, it's always a gorgeous view and secluded from much of the busyness of the DC Metro area. 5. The timing- Camp Phoenix is smack dab in the middle of your summer...and that's exactly what you need. If you're anything like me, you're exhausted by mid-July. Getting away for a weekend to train and recharge can be a huge motivator to push you through to Labor Day! To register for Camp, contact your instructor (or me directly) now! Many people believe that every teacher loves Summer Break. Sure it is nice to have a little bit of time off, but it's the break from the routine that drives nuts. I don't like changes to the plan. I don't particularly enjoy changes in my daily, or weekly routine. Heck, i don't really care for making last minute driving directions. I'm fairly certain that for me, at least partly, it's a control issue. I want to wield the cosmic remote and control all possibilities. Seems even more absurd to hear that, and see it on my screen. Still, summertime for me does bring about certain challenges. With a more open schedule, it's easy to push things off until later in the day. Most of us know how well that works, right? Since I don't have to necessarily "be" somewhere first thing in the morning, the temptation to sleep in is strong. So, I'm reaching out to you. How do you handle changes in routine? Teachers, how to you embrace the summertime schedule?